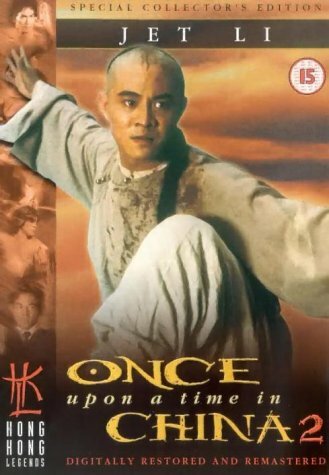 Like its predecessor, Once Upon a Time in China 2 stars Jet Li as Wong Fei Hung, this time pitched against the xenophobic White Lotus cult, which is violently trying to rid China of foreigners (the period is the early 20th century). To complicate matters, he also finds himself fighting against the reactionary Chinese government. The martial arts battles, in particular one against co-star Donnie Yen as the government's strongman, are everything connoisseurs could wish for. Jet Li is not only acrobatic; he has a powerful screen presence that makes him a convincing hero. Production values, including sets and costumes, are excellent. The only flaw, at least to Western eyes, is the comedy, which has corny jokes about eating dog meat and so forth.